This dress was made for BlackfashionweekNL. It has a special story behind it. 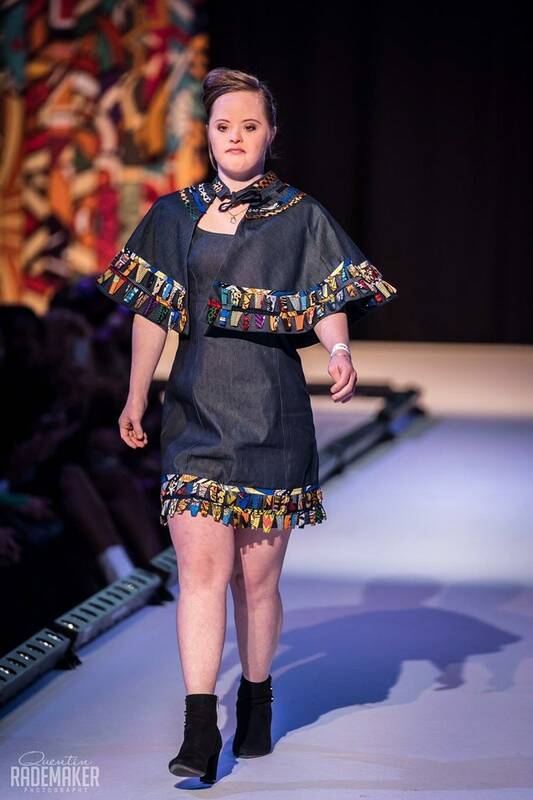 It was named after our lovely model Daphne Westerdijk who has Down syndrome. Dispite that she is one of our fierced models who will not let anything in her way to pursue her dreams. We wanted to create a dress that would make her feel comfortable and happy. Of course that means we worked with comfy fabrics and we also added a lot of colours. We made a matching cape because every Super woman needs a cape!